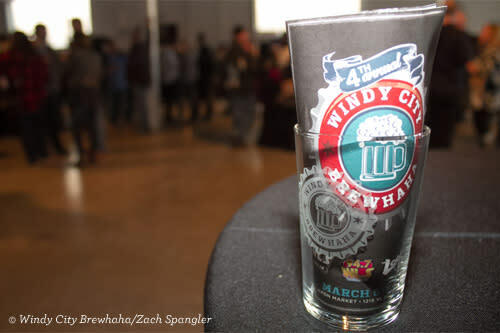 Beer festivals in Chicago span the entire calendar! Scroll down to discover one day, multi-day, and full week beer festivities for 2017. Attention all beer enthusiasts! Taste an assortment of craft beers from local, national and international breweries at over 30 different Chicago beer festivals and events. 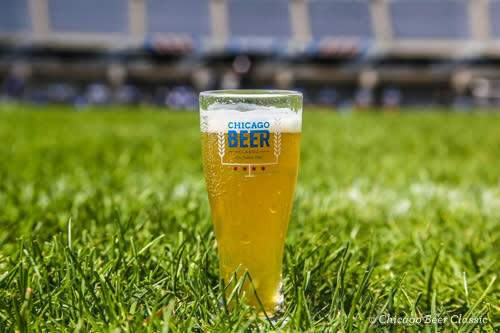 Chicago Craft Beer Week and FoBAB are two that beer enthusiasts mark the calendar for, but you can also stroll through the streets with a cup in hand at the Chicago Craft Beer Festival or experience the epic stadium views of Soldier Field at the Chicago Beer Classic. To escape the cold weather, there are many indoor beer festivals during the fall and winter months as well, including many Oktoberfest gatherings. Chicago has put itself on the map for big festivals and great beer — what a perfect match when they are together! Listed below are year-round opportunities to experience both throughout 2017. Browse Chicago&apos;s beer festival calendar below, and explore more beer and brewery experiences at choosechicago.com/craftbeer. Join the 8th annual Chicago celebration of craft beer, coinciding with American Craft Beer Week. Hundreds of venues participate in CCBW with tastings of rare beers, food and beer pairing, special events, and more. Enjoy samples from some of the hottest craft breweries in Chicago while you snack on light bites, try on-board deck games and take in awesome skyline views. The Lincoln Square neighborhood hosts this four-day festival celebrating German culture with food, live bands, a traditional maypole, a lot of lederhosen — and a lot of beer! Join in the "Gemütlichkeit" (fun and good cheer) and dance the night away! Chicago Friday Night Flights kicks-off the season on June 2nd in the Bridgeport neighborhood and will feature the breweries from the Bridgeport, Pilsen and Pullman neighborhoods. All three neighborhoods have seen a resurgence in recent years and the beer being produced in these neighborhoods should be on everyone’s radar. Food for purchase from the acclaimed The Duck Inn and local entertainment will round out your experience of these neighborhoods. Join Sierra Nevada Beer Camp on Tour as it takes over Navy Pier with hundreds of craft beers, the city&apos;s best food trucks, live music and more. The Milwaukee Avenue corridor breweries representing the neighborhoods of Wicker Park, Bucktown, Logan Square and Avondale will be highlighted on Friday, June 16th. These trendy neighborhoods and the creatives that call them home are producing some of the best beer in the country. Savor a selection of more than 75 specialty brews produced by more than 35 local and regional breweries at this one-of-a-kind event. Beer tasting stations will be set up throughout the zoo’s beautiful gardens during this after-hours experience just for adults. Plus, enjoy food for purchase, DJ entertainment, lawn games and unique after-dark viewing of the zoo’s animals! Located at Butler Field in historic Grant Park, bordered by the Chicago skyline and Lake Michigan, the sprawling ummer edition of Chicago Ale Fest features more than 200 beers from over 100 American craft breweries. The fest will also feature live music and food from some of Chicago&apos;s favorite restaurants. Drink quality craft beers among the trees at The Morton Arboretum&apos;s outdoor festival paired with live music and serene surroundings. Located in nearby suburban Lisle, this 1,700-acre nature haven will feature over 40 breweries at their daytime event, as well as beautiful summer foliage. 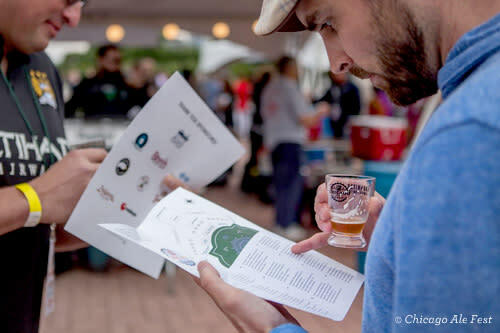 With one of the hottest craft beverage scenes in Chicago, the Greater Ravenswood Chamber of Commerce hosts its 2nd Ravenswood on Tap, an outdoor festival showcasing the neighborhood&apos;s breweries and distillery. After a successful inaugural festival in 2016, this year&apos;s event will be held at a bigger location along Ravenswood Avenue and expands to two days. Since Goose Island Brewery opened its doors in 1988 in Lincoln Park, the neighborhood and the Lakeview community to the north have seen continued growth in the craft beer movement in Chicago. Chicago Friday Night Flights will shine a spotlight on the current brewing scene that these beautiful lakefront neighborhoods offer. Fill up on four hours of craft beer and live music on a warm summer night in beautiful Horner Park in the Lincoln Square community. Life is good! Sample over 30 craft beers with many local favorites! Local food trucks will line the park where you can purchase a variety of culinary treats. Live music from 7:30-9:30 will be provided by Chicago&apos;s very own Bumpus with their powerful brand of soul music channeling the uplifting energy of Sly & the Family Stone, the soulfulness of James Brown and the reflective cool of Marvin Gaye. New craft breweries continue to emerge in the South Loop and Bronzeville neighborhoods to join the great beer being produced by breweries downtown. Come see why the stellar beer being produced throughout these historic neighborhoods is adding a new dimension to their resurgence over the past few years. The evening’s entertainment, The Original Chicago Blues All Stars, will be brought to you by Motor Row Brewing. Showcasing specialty, seasonal and small batch beers from local, regional and national craft brewers, the centerpiece of Chicago Craft Beer Fest is ticketed afternoon tasting passes where aficionados will be able to sample from more than 80 craft beers from over 40 brewers each afternoon. This outdoor street party coincides with the Sheffield Garden Walk, another neighborhood favorite. A celebration of all things beer and bicycles — and this year music is celebrated in an even bigger way with The Roots! The New Belgium Brewery event travels to multiple cities but has busted out of its Chicago location in Palmer Square to take over Northerly Island with a full on concert. In its new lakefront home, expect to see all the same carnival-themed fun: circus performers, vaudeville acts, magicians, comedians, and mind-blowing provocateurs. The West Loop and West Town neighborhoods have become destination neighborhoods for multiple reasons. Chicago Friday Night Flights will showcase why everyone should be experiencing the exceptional beer being produced throughout these neighborhoods. The breweries and beers that represent these neighborhoods are as diverse and innovative as the neighborhoods themselves. The Chicago Riverwalk is the city’s newest urban recreation waterfront park space and pedestrian trail along the south bank of the Chicago River. Sample a variety a beer from 14 award-winning breweries, enjoy the music of DJ Mike P and guitarist Griffin Crowder, taste eats from Riverwalk vendors City Winery, Island Party Hut and Tiny Tap while taking in the city from this awe-inspiring vantage point. Enjoy your beer and be green, too! Neighboring Oak Park — the historic community 10 miles west of Chicago known for its Frank Lloyd Wright architecture — has a beer event of their own. The sustainable microbrew festival is set in their downtown area and the 10th annual edition features over 70 craft brewers and 200 craft beers, plus food tastings from local farmers with organic practices. Ravenswood’s historical industrial corridor infrastructure has created the perfect opportunity for Chicago’s vast craft beer expansion, large open spaces conducive to brewing. Brewers have taken full advantage as the Ravenswood Corridor has seen multiple breweries open over the past years and others looking to expand due to their success. The Chicago Friday Night Flights finale promises to offer a great mix of the various styles brewed throughout the corridor. Get to the ballpark for Craft Beer Night when the Chicago White Sox take on the San Francisco Giants. This exclusive ticket package includes a Lower Box game ticket and admission to the beer tasting. Sample up to 18 different 2 oz. beers and ciders from the 30+ breweries, including local ones Alarmist, Baderbrau and Moody Tongue. The block party along 1800 W. Fulton Street will be packed with more beer, food and live music than ever before! Start with the brews... all beers are $3 (sizes vary) and will include fave Goose Island beers 312 Urban Wheat Ale, Grand Prestige, Brasserie Blanc and specialty pours of Bourbon County Brand Stout. On to the eats... vendors are Girl & the Goat, Beat Kitchen, Happy Lobster, Wow Bao with more to be named soon. And then on to the tunes... with a schedule that lists Animal Collective, The Record Company, Charles Bradley and His Extraordinaires, Ted Leo and the Pharmacists, Filthy Friends (Feat. members Sleater Kinney, R.E.M. and The Minus Five), Joey Purp, Califone, The Drastics, Low Down Brass Band, and more. Presented by Revolution Brewing, this annual indoor/outdoor party touts an expansive Bavarian buffet — loaded with everything from Schnitzel Sliders to Hendl (whole grilled chickens) and Schweinshaxe (whole braised pork leg). Live music from the Polkaholics and festive attire add to the fun: "Lederhosen is optional and appreciated." The two-day, second annual Oktoberfestiversary is a celebration of the neighborhood, season and beer. Held outside Dovetail’s taproom, it will feature flagship offerings and a few rare brews from Begyle to celebrate the brewery’s 5th anniversary of brewing in Ravenswood and authentic Continental European-style beers from Dovetail. Entertainment, food trucks and dog-friendly fun (dog treats made from Dovetail and Begyle&apos;s spent grain, dog beer, and doggie ice cream floats!) round out the weekend. A two day fest outside the Milwaukee Avenue brewpub? Sign us up! Beer, food and music combine in a new setting for the sixth annual event... the streets of Logan Square. Revolution Brewing is partnering with local businesses including Chicago Distilling Company, Dönerman, and The Radler; plus DJ sets and after-parties are in the works at other neighborhood bars along this nightlife corridor. St. Alphonsus Roman Catholic Church hosts its annual Oktoberfest celebration! The three-day family-friendly festival will be located inside and outside the church on the streets of the Lakeview neighborhood with craft beer tastings occurring Friday and Saturday night, and live music, local food vendors, and family-friendly activities each day. 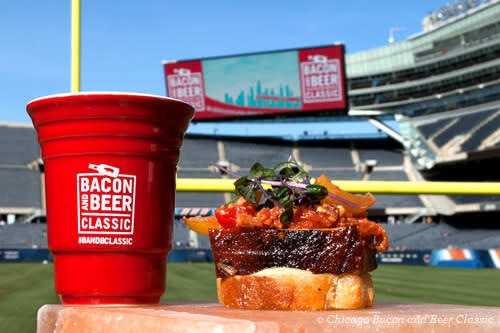 Only a mega venue like historic football stadium Soldier Field could contain this manly combination: over 30 bacon-infused dishes and over 80 beers from Midwest breweries! Oh, and giant Jenga, a bungee run and a bacon eating contest too. Celebrate fall in Chicago at this great seasonal event at Millennium Park. Guests receive a complimentary tasting glass and a voting card to choose the 2017 Harvest HopDown winner! For the fifth annual event, tickets include unlimited seasonal beer tastings from over 25 breweries, beer bites, live music & more! German music, brats and that beverage of choice (beer!) will all be on the menu for the return of the outdoor fest in the West Loop. Bring your best Oktoberfest outfit and get ready for a 3-day party with lots of "oompah." A new — and huge! — venue is home to the seventh annual event: Cinespace Chicago Film Studios. A lots of space is required given that over 75 different breweries will be pouring out over 150 unique American craft beers. This is one of the city&apos;s original craft beers fests, and after a brief hiatus, it&apos;s been coming back in a big way! Insiders know it as FoBAB — and they know this is the hottest ticket you can score if you want to enjoy the most exclusive beers out there. This is the country&apos;s largest celebration of wood and barrel-aged beers. This year&apos;s event features over 90 breweries and 300 individual beers that will be pouring at tables spread within an expanded 23,000 square foot space. It&apos;s a weekend for beer lovers: take your pick between two events in the Lincoln Square/Ravenswood neighborhood. Saturday is a craft beer bonanza at the DANK Hous German American Cultural Center, with local breweries showcasing at least two different selections (with some limited releases too!). For a more intimate experience, combo your ales with chef creations at the Friday night VIP Food & Beer Pairing. Coming back for its fourth year in 2018, Frost Fest is the Northalsted Winter Warm-up! This one-day, 2 session winter party is the cure for anyone&apos;s cabin fever, with activities for everyone. Frost Fest boasts Lakeview&apos;s largest craft beer festival, featuring 50 local brewers serving their most famous craft beers in a 5,000 square foot — heated, of course! — outdoor tent. Attendees can sample up to 15 beers at one of two tasting sessions. Organizers proudly claim that "Beer is a drink that helped found America." For those that agree, get a taste of history and celebrate its future at the annual Brewhaha beer event. Fill up at one of two tasting sessions, where admission gets you a commemorative tasting glass and access to 60+ brews. SUE the famous T.rex and over 70 breweries? Why not?! Domestic and international breweries will be sampling their spring seasonal beers in the sprawling hall of The Field Museum for this year&apos;s event. Two sessions are available, one in the afternoon and one at night — two opportunities to join the fun! And after you have your sips, go exploring as select museum exhibits will be open to attendees.